Based on Gunnar Johansson’s work on the perception of human bodies in motion, Joining the Dots - a public art commission for Kerry Conty Council - explores how our minds can extrapolate from such minimal information as a cluster of moving dots to divine complete human figures in motion. 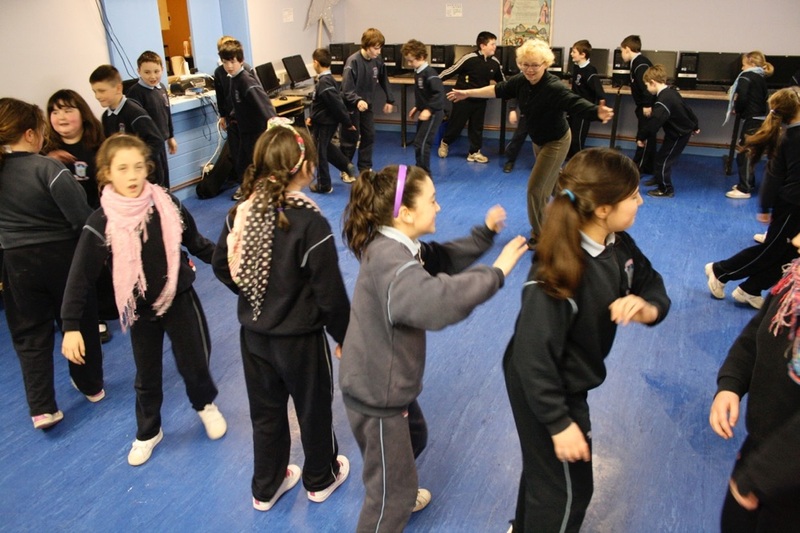 We worked with the choreographer Cindy Cummings and with Dr. Phil Kelly of CLARITY Centre for Sensor Web Technologies to realise a ‘dot-film’ with school children from Ardfert National School, exploring this universe of dots, in which particles, people and planets can coexist. 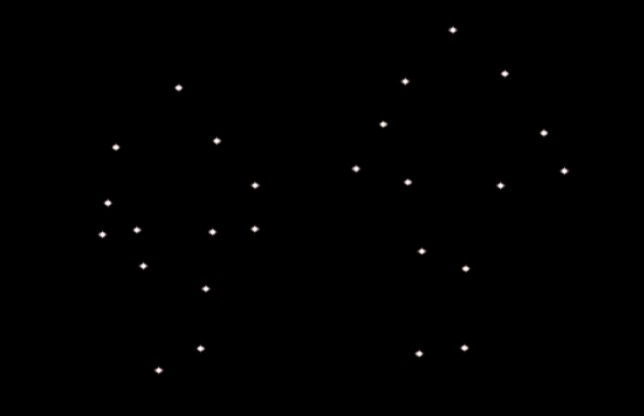 The final films are made up only of moving white dots on a black background, which a spectator might take for stars or particles, until closer observation reveals many human forms in movement, like constellations come to life. The project went on to become the foundation of the “Dot Universe”, a multi-projection installation first shown as part of “Hall of Mirrors”. 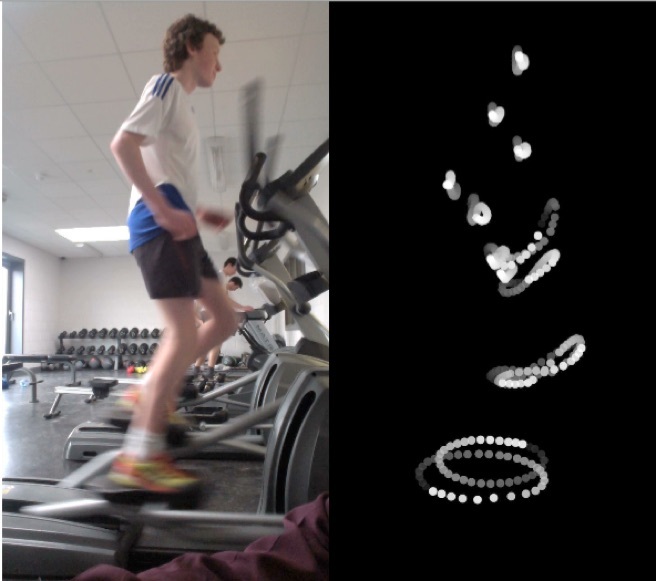 We continued our exploration of biological motion with the project “Particles or Waves?” for St. Patrick’s School in Cavan. 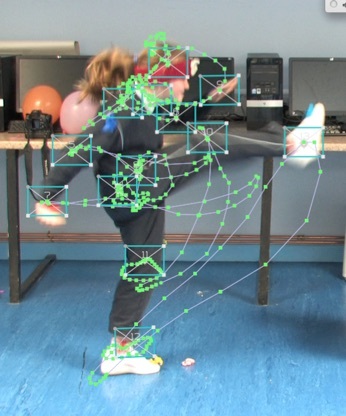 Dr. Noel O’Connor and his team from CLARITY - a research institute for developing sensor technology based at DCU in Dublin - suggested that we develop a program together for plotting Dot-Man using the Kinect (a camera system for the xBox that allows 3D tracking of gamers bodies). We worked with them to make a kind of ‘Dot-Mirror’ installation which transforms visitors instantly into dot-people. Two dancing dot-children from Ardfert. Video installation in front of the County Museum, Denny Street, Tralee, projected each evening on Denny Street (outside the County Museum) Tralee from January 2012. A series of “dot” films - dancing and moving figures made only of dots -created through a participative process with pupils in collaboration with the choreographer Cindy Cummings. 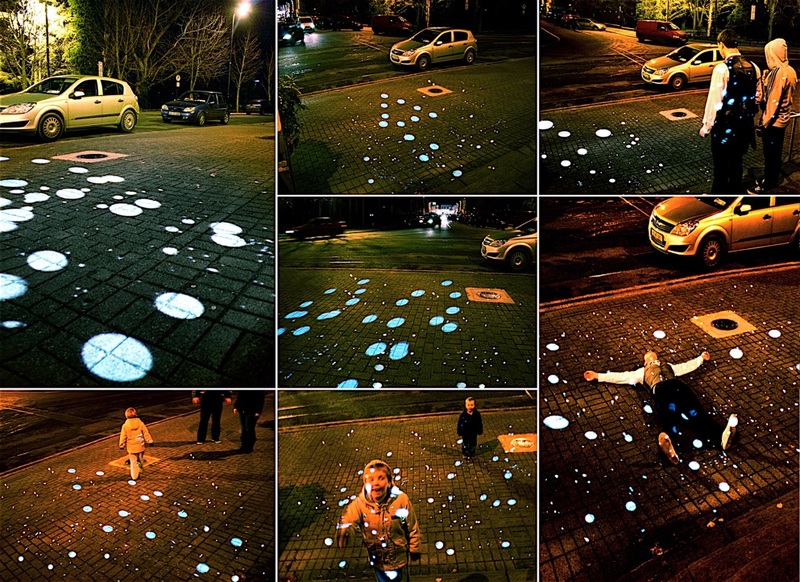 The final installation takes the form of a projection of the ”dot” films onto the pavement in front of the County Museum in Tralee as well as an installation in the school showing the films on six small screens. The Dot Mirror. Video installation. 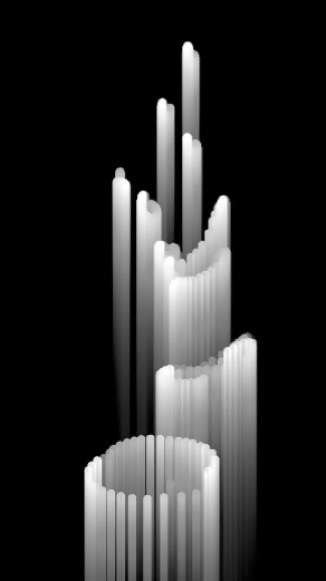 Dimensions : variable. Year : 2011. Particles or People. 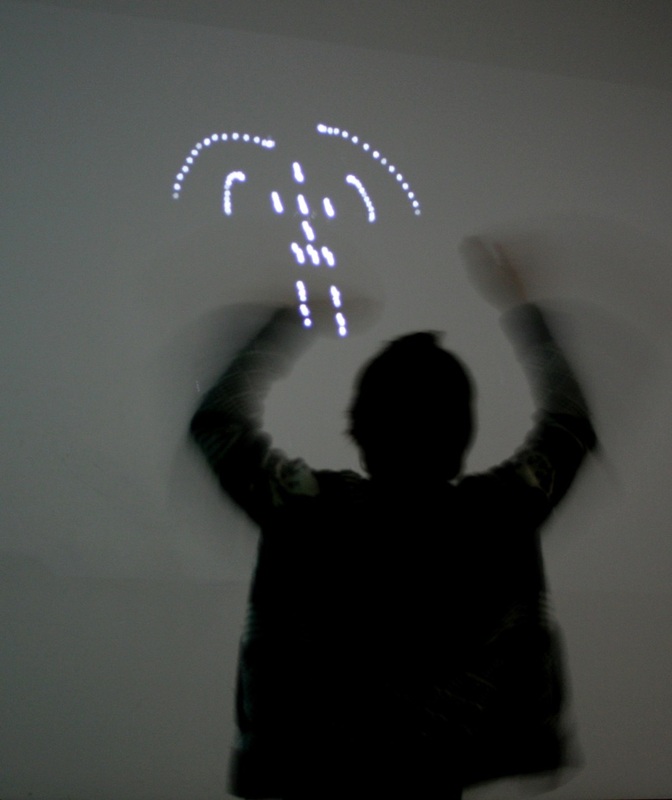 Dot film made as part of our public commission for St. Patrick’s College in Cavan, 2013.